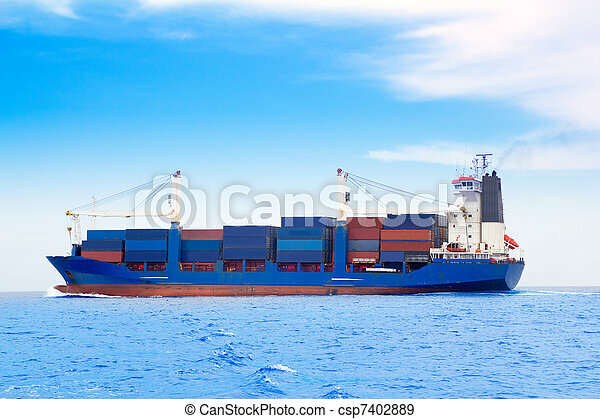 Cargo ship with containers in dep blue sea. 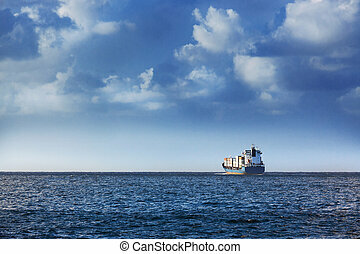 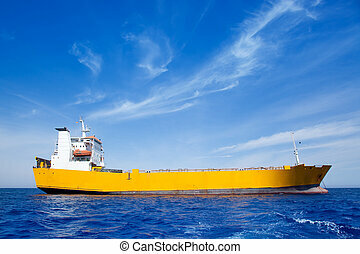 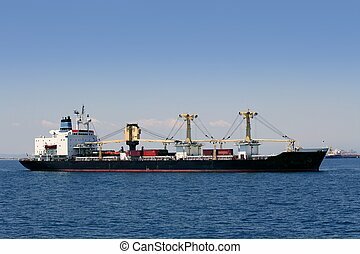 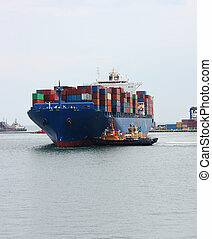 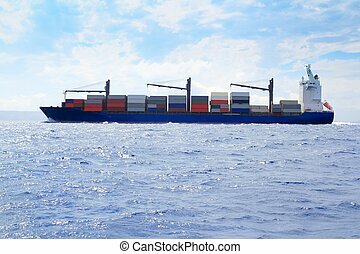 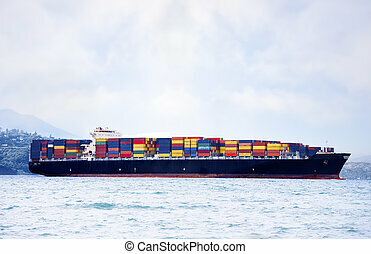 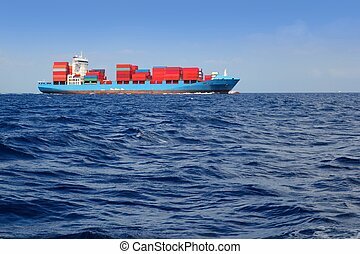 Cargo ship with containers in dep blue ocean sea. 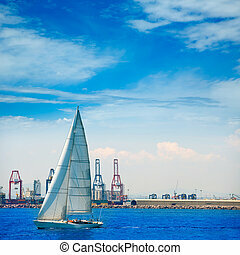 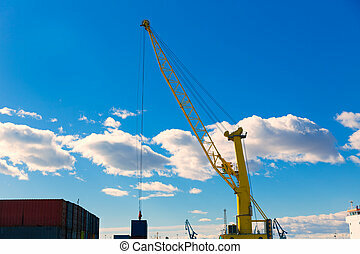 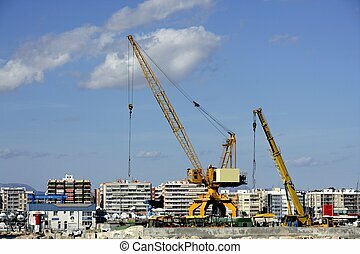 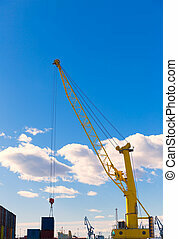 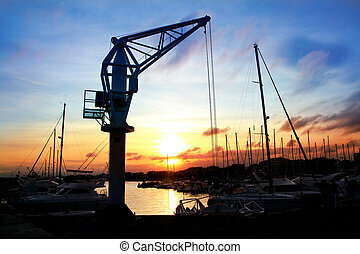 Cargo ship at Miami harbor with crane and blue sky over sea. 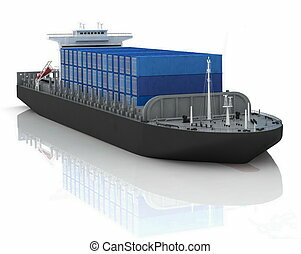 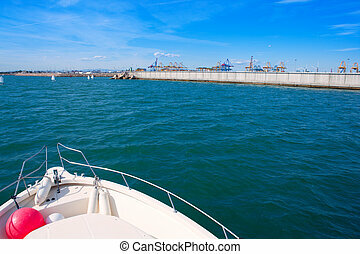 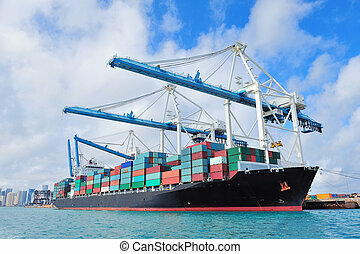 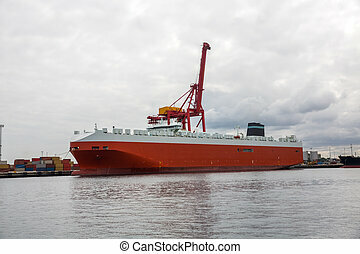 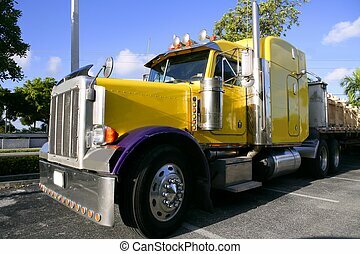 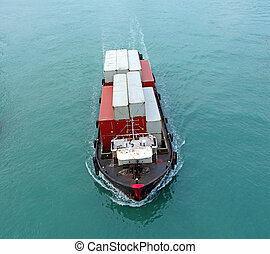 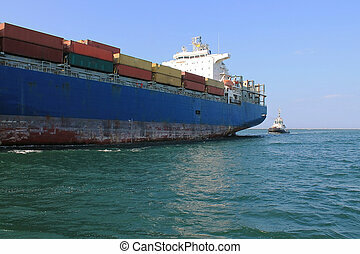 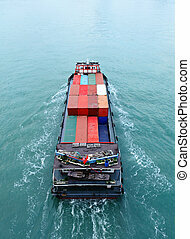 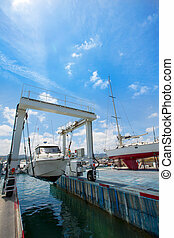 Cargo ship load or unload containers. 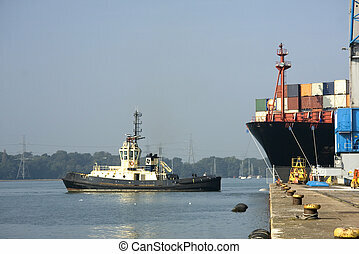 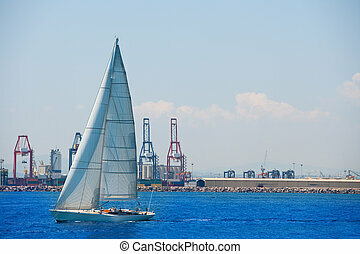 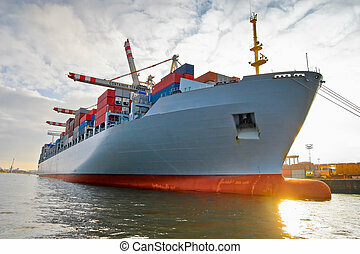 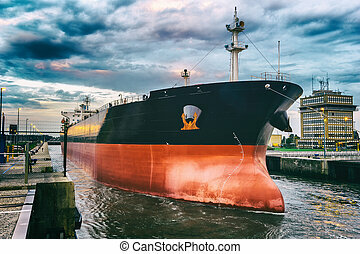 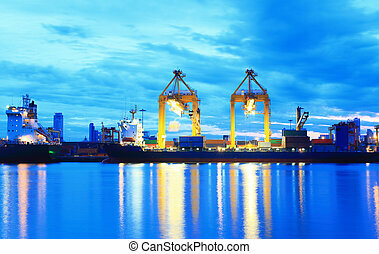 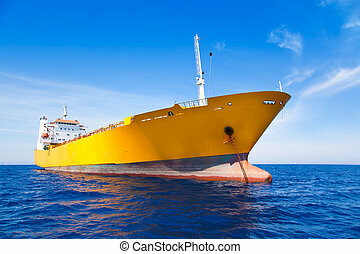 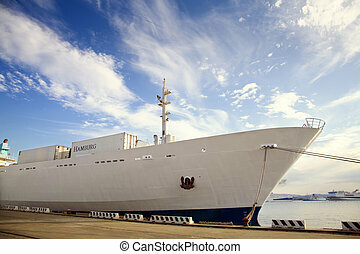 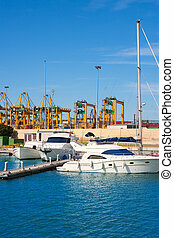 International shipping industry.